CNC Router systems have been around for a while however, their popularity is rapidly growing in all arenas. This is probably due to the impressive capabilities of these machines. Offering the ability to create complex shapes that would take a skilled craftsman much longer. In the past 5 years there has been an increasing number of businesses and hobbyist invest in a router system. Many people, however, are still in the dark as to what these machines do and how they work. This is where we want to help. On this page we will discuss and explain the basics of CNC router Systems . We'll be covering topics like the parts and types of a CNC machine, how they work, the "lingo" typically associated with CNC routers, and how much they cost. If you already have a decent understanding of CNC Routers, then you might want to go to more advance information pages. For example, if you are interested buying a CNC router and you would like assistance in that area, then you should look at the Buyers guide. Likewise, if you are interested in building a CNC machine, then you should check out the Builders Guide. The following pages will take you from start to finish on the basics. I suggest You follow the pages in order if you are new to the subject. 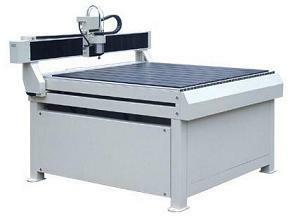 However, if you are familiar with certain aspect of CNC routers and just need certain information. Feel Free to browse the pages in any order you like. How do CNC Router Systems Work? How much do CNC systems Cost? *note: These prices are general. For more detailed information on pricing, visit the Buyers Guide section. Don't forget to check out the other sections of our website which offer more in depth information. We also have a Glossary of terms and a FAQ section.